On the last day of June 2017 we moved out from our studio at Kigkurren on Islands Brygge, Copenhagen and moved into this beautiful place on Flensborggade 57, Vesterbro, Copenhagen just by infamous Sønder Boulevard, where people and dogs seem chill and happy. The new studio has three rooms. One of them has massive windows facing the street, which was occupied at the time, so we had to settle down at the back room that faces one of the most beautiful inner gardens. 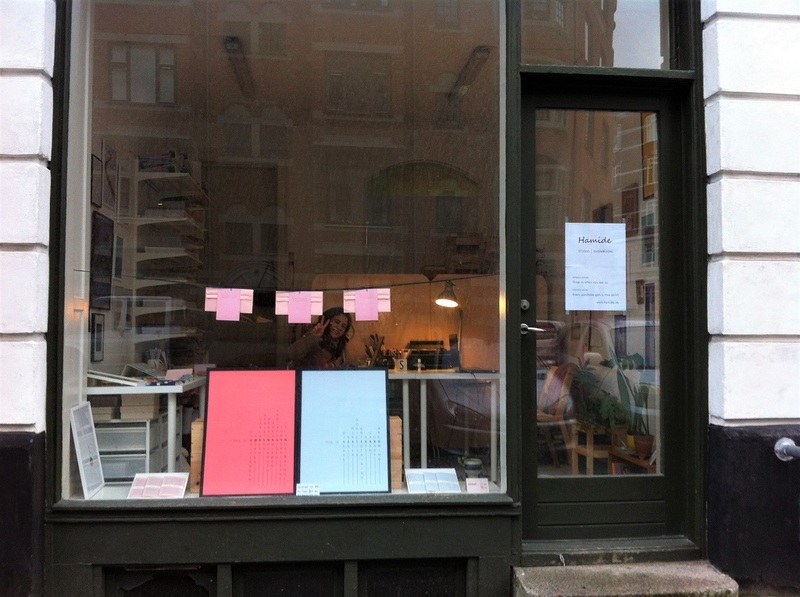 We loved it very much but we were still envying the shop front since it is so beneficial for the exposure of our work. But in October something magical happened; the shop front became available! And we moved to the front! Finally we are settled. Since we were taken by the Copenhagen Film Festival seeing about three films in a day for i guess thirteen days and struggling with the wall which was almost impossible to drill holes in, it took us some time to settle in. Tough our windows are still extremely dirty, we are ok. We are waiting for the spring to clean them. Come and see our products in real life and on display. Get something beautiful for your wall, your work desk or your pocket such as our Geometric Love handmade notebook. Otherwise just pass by and look so that your life gets better.